The first stable weather pattern in some time promises nice weather well into early next week. 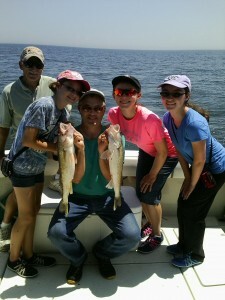 And, in spite of nearly four days of storms earlier in the week, the walleye fishing remains excellent. The trick has been to find them after the strong winds brought a lot of cold water down into the bay. However, Michigan Sea Grant coast Watch really helps solve that problem. Once you have the Coast Watch site up for Saginaw Bay, you’ll find the current surface temperatures for the entire bay. 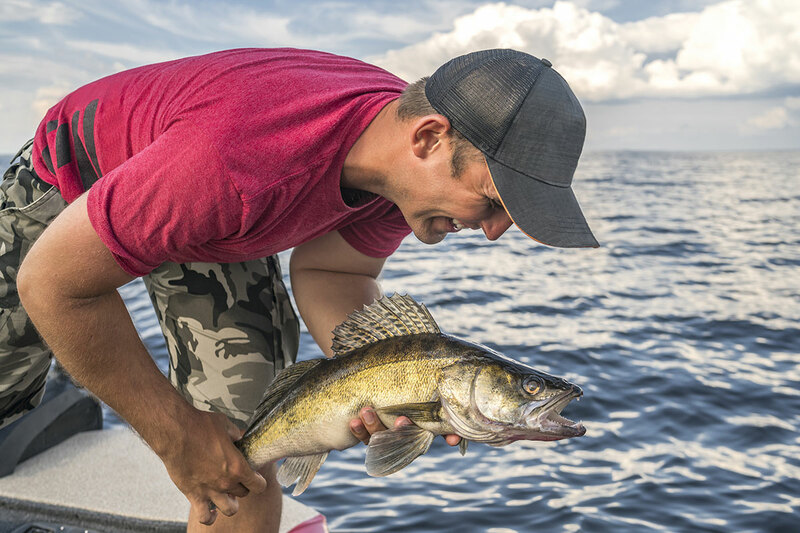 Look for the warmest locations of water, and start your walleye trolling there. We did just that Thursday and Friday, and it paid off big. 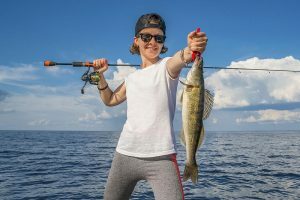 Coast Watch was developed several years ago by Michigan Charter Boat Captain Jim Fenner out of Ludington and former Michigan Sea Grant Director, Chuck Pistis. The idea was to provide fishermen with a daily mapping of all the surface waters of the Great Lakes. Instantly, it became a trusted and essential fishing tool. Knowing where the coldest or warmest water is for any given species one is pursuing is a huge advantage towards a day of successful fishing. 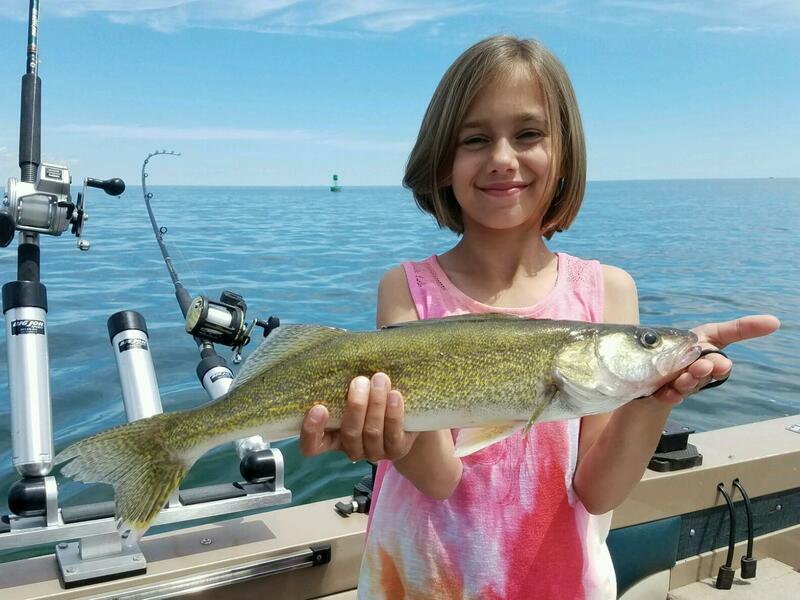 The cooler than normal summer is keeping huge schools of walleye in the bay. Expect good to excellent fishing to continue in all your favorite hot spots. 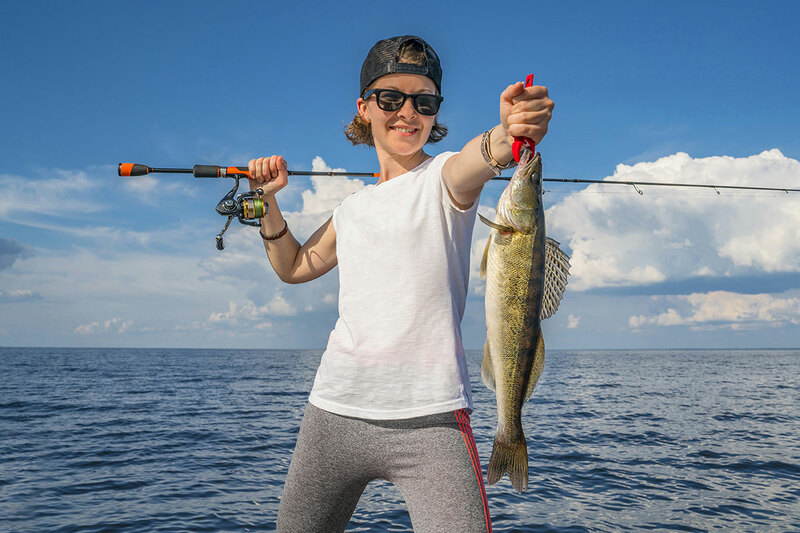 And while crawler harnesses have been the dominant tactic for most walleye anglers, don’t hesitate to employ spoons and your favorite plastic baits as well. The artificials will come more and more into play in the weeks ahead. 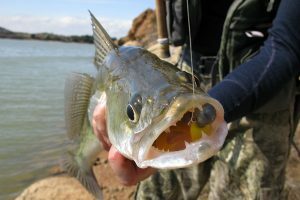 Successful anglers never get in a rut with only one trolling tactic. Have a safe and enjoyable weekend. Personally, I can’t think of a better way to do this than fish for walleye on Saginaw Bay.